In November 2016 MY Charisma came to the premises in Urk after her Owner granted Balk Shipyard the refit. 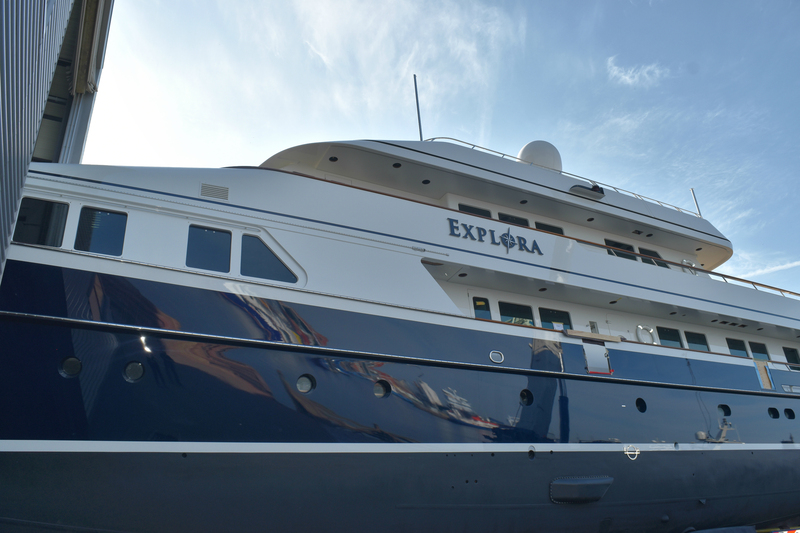 As soon as she was in the refit facility her new Owner decided to change her name into MY Explora. Very applicable as her Owners plan to explore the seas with her. 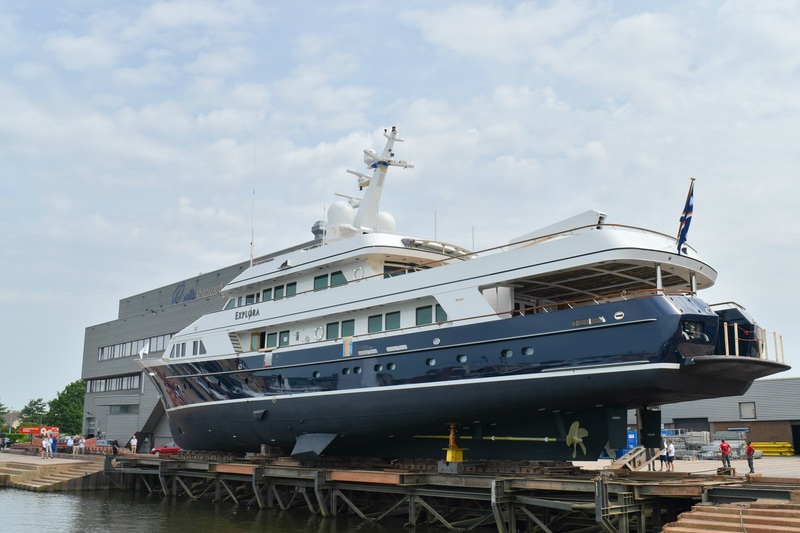 MY Explora is a 46.3m motor yacht custom built in 1985 by Feadship at the Royal van Lent yard. Her interior has been designed by Leonard Melse, Donald Starkey and Andrew Sheinman and her exterior styling is designed by De Voogt Naval Architects. Explora’s refit can be framed as a more technical and exterior refit than an interior one. She got a full paint job and turned from an already elegant white yacht into an even more elegant and sophisticated yacht with her hull in Flag Blue and a white stripe of Fleet White on the top of the bow (right under the caprails). One of the guest cabins has been rebuilt into a massage salon where Explora’s guests can enjoy massages. During the refit concluded was that Explora’s foredeck and a few other areas needed some steel reinforcements – so the welders of our steel department made sure that she got reinforced wherever needed. Next to that, Explora’s caprails were stripped and re-varnished and partly new teak decks were layed. Moreover, Explora’s wheelhouse got a tremendous interior and technical refit - all electric systems (such as nav/com and wifi) were updated as well as a new bow thruster has been placed. MY Explora has been launched on Thursday June 15. Her delivery is due beginning of July after her commissioning and extensive sea trials.